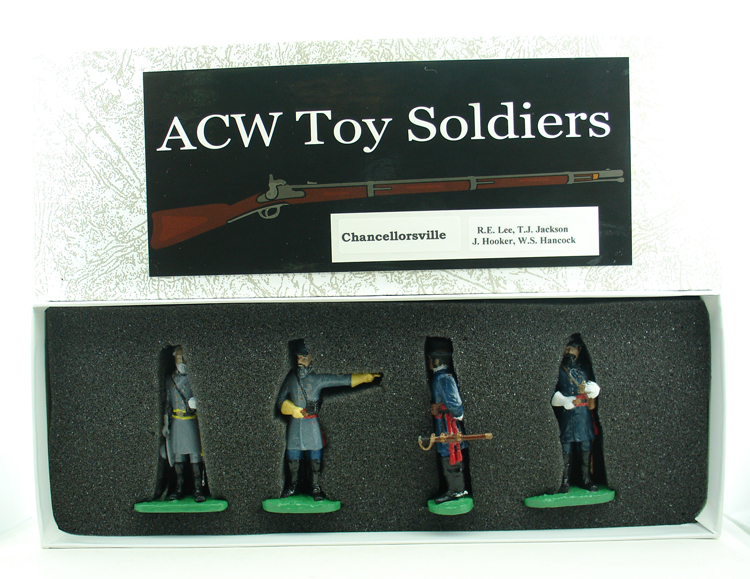 We are now offering sets commemerating American Civil War battles. The sets contain Mike Allen Miniatures castings that have been assembled and hand-painted by ACW Toy Soldiers. The 54mm tin figures are painted with gloss enamel. Sets are packed in foam lined boxes. The figures represent the immortalized leaders from the battles.